The organisations tab within Sports lists all of the organisations that sit underneath you in the OST organisation structure. 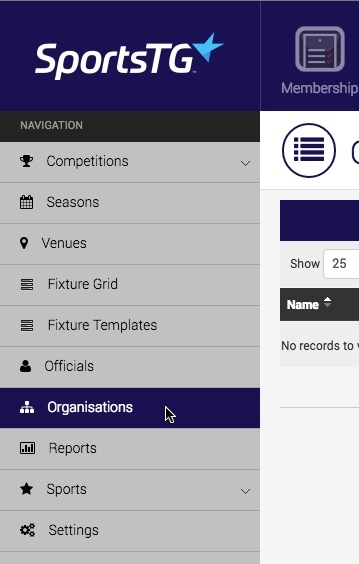 This determines what clubs are eligible to play within your competition, and the members within those clubs that are available to add to the team sheet for a fixtured game. You are therefore unable to add any additional clubs to this list, as this is controlled by the overall organisation structure. 3. You will now see a list of the available organisations within your organisational structure that you are able to fixture for your particular competition. 5. 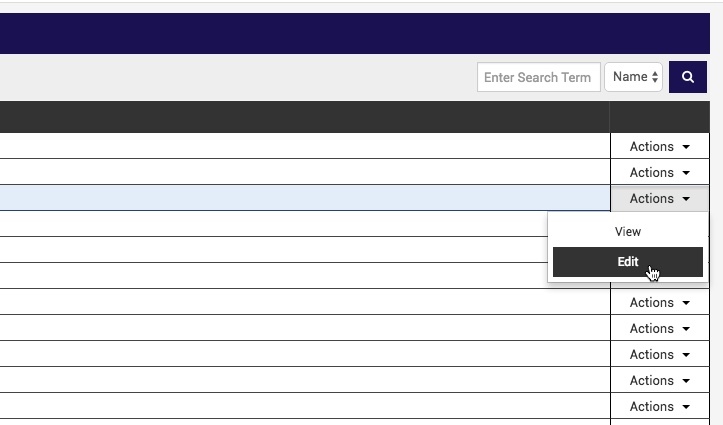 Select the relevant venue for Default Venue 1. If you wish, you can assign a second or third default home venue by following the same process. 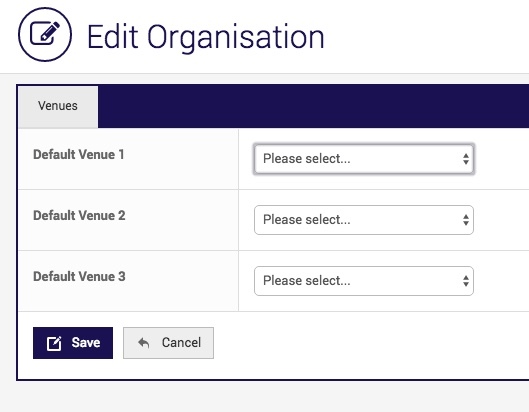 Note: Assigning a default home venue to each organisation is not mandatory as this can be addressed via the creation of a fixture template or using the fixture grid.